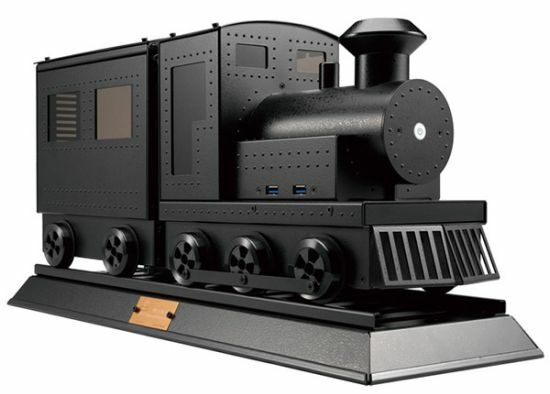 You may have seen some of the most unusual and interesting PC cases in the past, but the Train PC Case by designer Lian Li presents a steaming hot design to sizzle your workstation. Dubbed the “PC-CK101,” the train case includes mini-ITX motherboards and offers three slots for 2.5-inch hard drives. Integrating a pair of USB 3.0 ports on the side, the CK101 case comes with a single external slim optical drive bay and a single 120 mm rear fan to keep the engine cool and running. Available in two versions, i.e. the Standard ($229) that is stationary and the Premium ($379) that can move back and forth on an integrated track, the sizzling casemod features the body finished in aluminum. Measuring 185 x 258 x 515mm (WHD) in dimensions, the train casemod is scheduled to be delivered at the end of this month.